This series , which is a group nautical historical novels (21 in all) is outstanding in it's depth, realism and characterization. It is a monumental work. Post Captain is the 2nd in the series (I'm now finishing number 4). I will say it is very hard going at first, due to the naval terminology. The first book I read with a dictionary, a glossary of nautical terms and a sailing manual. I'm so happy I worked through it as the study of the history as it added tremendous impact to the book. I even started sailing classes! Enjoy the book! But start with the 1st, which is Master and Commander. 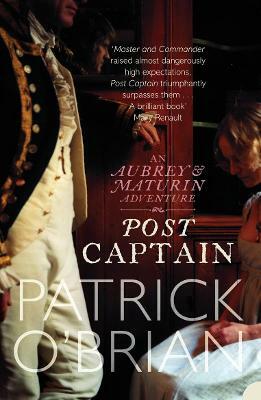 I have commented before on the excellence of these Captain Aubry-Doctor Maturin series of sea tales. This one, though, may be the best. If you can't start with the first in the series, or even if you did, don't miss this one. The characters are much more developed in this book so that the story stands alone about people anywhere rather than just people of the sea. Like Josepf Conrad's "The Secret Sharer" it's set on and in the sea, but transcends its location.